With all of the viruses that children seem to pick up, it might come as a surprise that there are also viruses that can be passed from a parent to a child at birth. The virus is not passed in the blood as might be expected but in the DNA. A new study that was recently performed could provide important knowledge about how DNA and viruses are passed down and can trigger an immune response. A recent study found that a virus known to trigger a universal infection during childhood is passed from a parent's DNA at birth. Scientists examining the link found that the majority of babies who are infected with the HHV-6 virus – known to cause roseola – had the virus within their chromosomes. On top of that, the mother or father had the virus in their chromosomes. This finding gives the indication that it could be something known as a germline transmission, where the transmission involves an egg or a sperm. Researchers want to understand what the implications are for a chromosome with a virus integrated into it. One question researchers have is whether or not it could again be activated or alternately, if it might trigger any other issues. Yet another question involves the body's immune response to the virus. One important reason that researchers are asking such a large number of questions is because most people are infected with the HHV-6 virus. A member of the herpes family of viruses, it causes roseola, which is an infection that shows signs and symptoms such as a high fever and other indications commonly seen with many other respiratory or gastrointestinal issues. 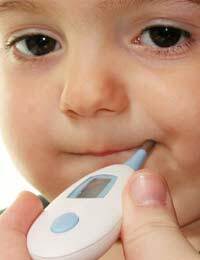 Twenty percent of children also show a rapidly appearing rash that can be seen as the fever begins to break. When researchers initially began investigating the virus, they looked at infants, some of whom had HHV-6. Almost half were born with the virus while the other infants were infected at a later time. Researchers found that most of the babies born with the virus had the virus in the chromosome. The initial thought was that the virus had found a way to cross the placenta from the mother to her child. However, in most of the cases it was actually inherited from the genetic material. Further testing found that it was either the mother or the father who had HHV-6 in the chromosomes. Yet, it was only one parent – never both of them who carried the virus in their chromosomes. Researchers found that there were a number of places where the virus integrated into the DNA – typically at the very end of the chromosome where telomeres are located. These telomeres offer protection to the chromosome and they also play a role in immunological responses. The babies who were infected all showed antibodies to HHV-6, thereby showing that some kind of an immunological response had occurred. Interestingly enough, previous research had found that there were other viruses that can integrate into DNA and be passed from a parent to a child. However, these viruses had not been known to actually cause any symptoms or trigger an immunological response. In this sense, the new study has provided improved knowledge of the role of DNA in viral inheritance. Hopefully, researchers can make full sense of the data and we can better find out just how viruses can integrate into DNA. Are allergies inherited too? Could a DNA test tell you if you're like to suffer the same allergies as a parent?